For me, the last ten years is a blur. One divorce, a new marriage and a couple of kids later, it's really hard to believe how much has changed for me personally over the last decade. You know what else has happened over the last ten years? Vampires now sparkle thanks to Twilight. That's right, ten years ago next month, the first Twilight film debuted in theaters (how can it only be ten years ago?) and vampires were forever changed. Twilight is a useful film to mark time for me personally because I actually saw it in theaters opening weekend. I also saw New Moon in theaters opening weekend. What can I say? I was freshly divorced and having a few drinks with a group of mostly female friends sounded like a good time. Much like the accompanying hangover the next morning, my recollection of the first two Twilight films is hazy at best. I do know that I realized rather quickly that Twilight was not for me and that it was definitely not up to the same quality as the Harry Potter films. Thankfully, my wonderful wife came into my life before the release of Eclipse and she saved me from my self-inflicted torture. 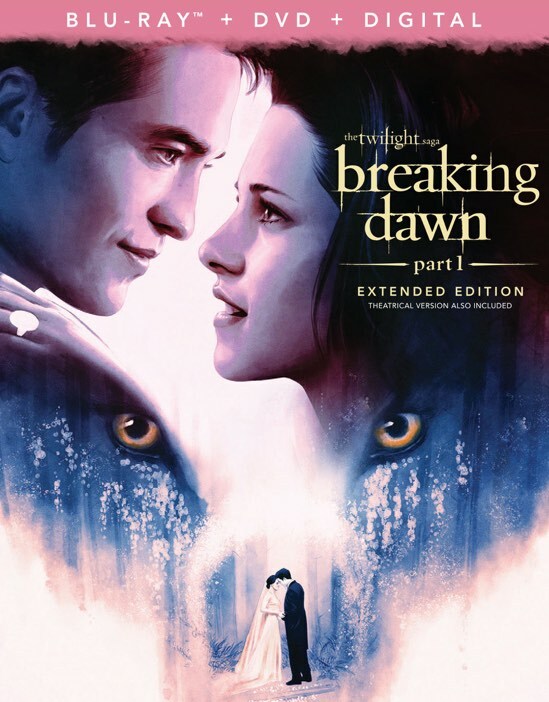 And yet, here we are ten years later and curiosity got the better of me and I couldn't resist revisiting the first two films and seeing how the series ended when the opportunity arose to review Twilight on 4K UHD and the rest of the films on the newly released 10th anniversary Blu-rays. I will say that it was an eye-opening journey on many levels and one that I hope taught me something about life in general. 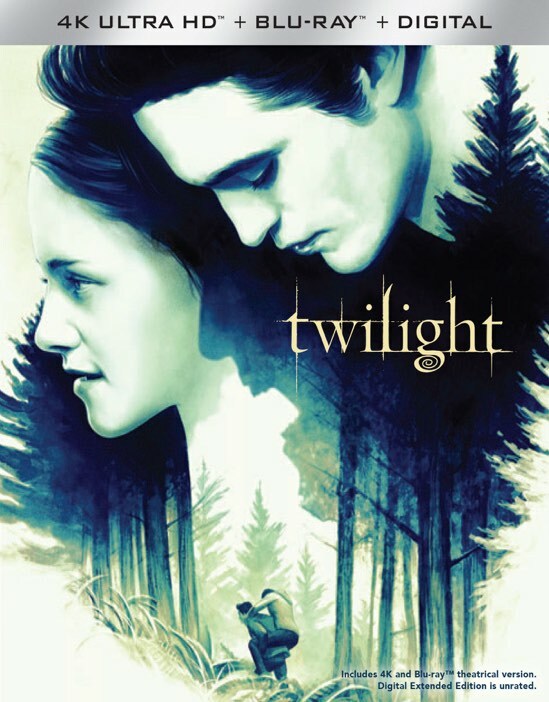 In case you have been living in a cave for the last decade, the Twilight films are based on the beloved book series from author Stephenie Meyer. Bella Swan is your typical emo teenager who moves to a small town in Washington and unexpectedly falls in love with a vampire. 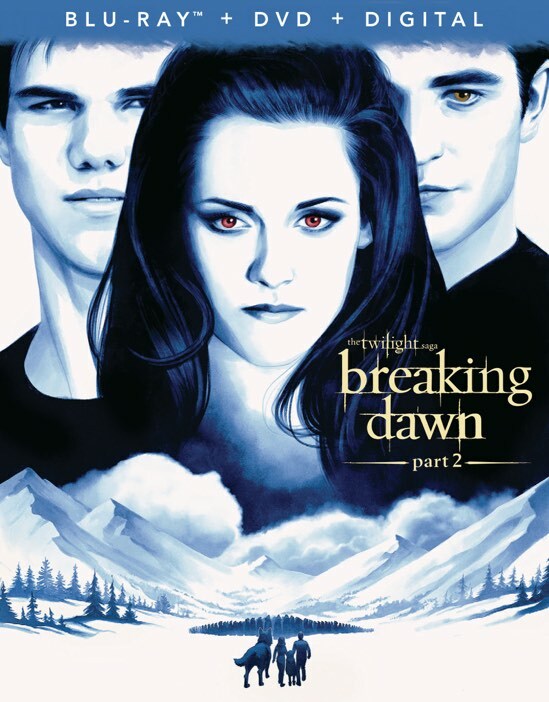 There's a love triangle that involves a werewolf that devolved into the whole "Team Jacob" / "Team Edward" thing before the ultimate resolution of the love and conflict. I'm not really sure why I'm playing coy with the spoilers. The books are thirteen years old and the movies as I said are celebrating their 10-year-anniversary. Anyone who wants to see them has already done so and judging by the total box office of the five films, that's a pretty sizable audience. Make no mistake about it, the Twilight is squarely targeted to the tween/teen girls out there as a thinly veiled reimagining of Romeo and Juliet with certain religious overtones mixed in. The target audience is forgiving with the story's painful metaphors and is easy to sway with fantasy and frolic, but at the end of the day, the Twilight films aren't really that original and hardly hold up to repeat viewing (at least of the two I had seen previously). 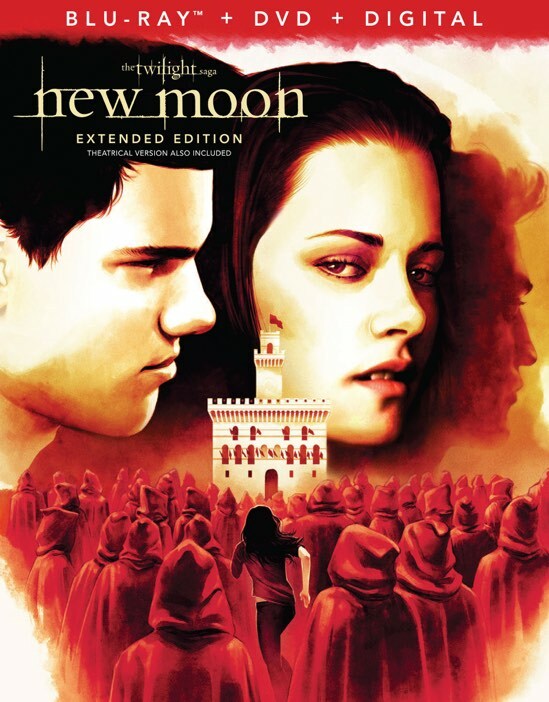 After New Moon, the series really shifts away from the central love triangle to open up the world a bit. What seems like harmless world building ends up coming off as nothing more than a watered-down version of the Underworld series. In fact, there are several similarities between the two that you wonder if the Underworld timeline might simply be in the same universe as Twilight but set in the distant future. I could almost acquire a new sense of respect for Twilight if Bella were to "grow" up to become Selene. But alas, this speculation is fool's gold at best. Let's simply say that the two properties that recast Romeo and Juliet in the world of vampires and werewolves evolved independently around the same time. In this case Twilight is most certainly the lighter option of the two as its plot is more friendly to the tween crowd and hey, their vampires sparkle! Sparkling vampires aside, I think the biggest issue that I have with the entire series is the character of Bella. I mean she is supposed to be responsible for exacerbating an ongoing feud between vampires and werewolves, and ultimately almost undermining the entire supernatural existence. And yet, her biggest skill in the first couple of films is moping. She's a great emo moper. Perhaps the best moper to ever show up on the silver screen, although Thora Birch's Enid in Ghost World is a close second. I just don't buy the whole central thesis that Bella is someone that anyone, let alone two supernatural beasts would die for. She's no Helen. She's no Cleopatra. And she's definitely not Marilyn Monroe. Perhaps she's the emo it girl of generation Z, but I'm not really buying it. The funny thing is that I used to think that it was all Kristen Stewart's fault, but the intervening ten years has proven me wrong. Kristen can act and she's down right inspiring in several of her more recent films. No, this problem falls squarely on the shoulders of Bella and either director Catherine Hardwicke or Stephenie Meyer herself. I'm not sure because I just can't bring myself to read the books, but if I had to guess, I'm going to speculate that the character's blandness originated in the books. That said, Bella does evolve a bit by the end of the series literally and figuratively when she transitions to a vampire. Oops, spoiler alert. I had many issues with the series as it plodded along. I thought the story quickly shifted to crazy town and don't even get me started on Jacob imprinting on Renesmee or the whole climactic battle in the final film being nothing more than a vision. Uh oh, more spoilers. Ultimately, the series would have probably been best served as a trilogy, but money is a powerful motivator. I will say that the 4K UHD version of Twilight was noticeably better than its Blu-ray counterpart. I thought it was odd that Lionsgate only released the first film on the new format given that the other films will almost assuredly follow the first one onto 4K UHD at some point. While the Dolby Vision transfer provided a more stable picture over its Blu-ray counterpart, the real kicker was the HDR that truly helped the film shine in the many dark scenes set at night. I never understood the muted blue color palette that they chose for the first film and it is even more noticeable on the 4K UHD. Ultimately I found it rather distracting and an artistic choice simply for the sake of beating the audience over the head about the despair of living in the rainy pacific northwest. We get it. It's overcast and rains a lot because vampires and the sun. And yes, the sparkles are even more sparkly on the 4K UHD version. I can't believe that I just typed that. The Dolby Atmos audio track is noticeably more impressive than the existing 5.1 DTS track, but again, it's a bit underserved in the first film. I really think that the later films in the series would show even a bigger discrepancy as their audio tracks are more robust and the series shifts into more action as it progresses. The Blu-ray offerings of the second to fifth film include previously released extras, but they do offer fans a better look behind the scenes. 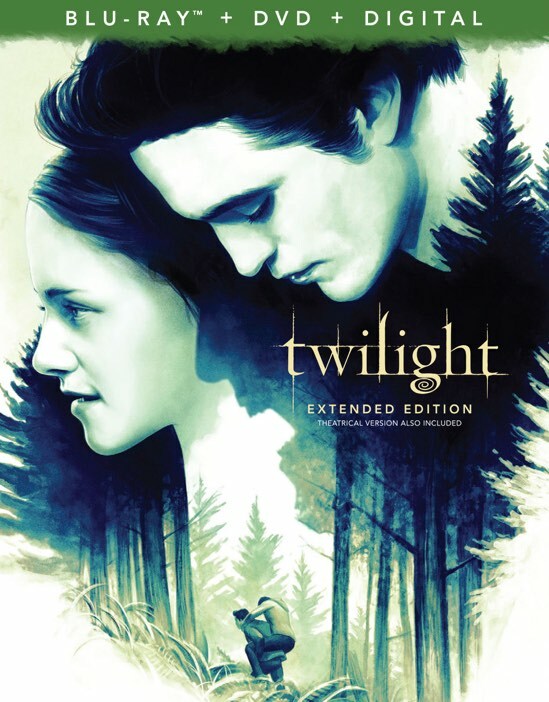 The 4K UHD version of Twilight does include one new special feature, "Twilight Tour…10 Years Later." Jackson Rathbone and Catherine Hardwicke reunite and reminisce about their time working on the first film as they visit set locations used in the first film. It was very interesting to get their perspective ten years later and true fans will undoubtedly want to check that out for sure. A lot can happen over ten years. In the decade since the release of Twilight, we have all changed so much, but it's nice to know that some things never change. The films that we love provide a much-needed release with the assurance that no matter we revisit them, they will continue to hold the same weight as they did back when we first watched them. 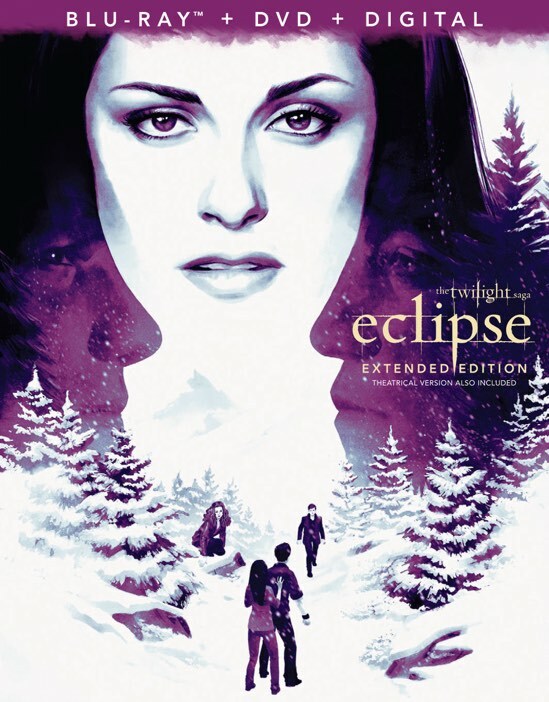 These new versions of the Twilight films come with brand new artwork that will look great on the shelves of fans.